The Courtyards at Weddington Road in Stallings, North Carolina is a quaint 55+ community developed by Epcon Communities. The community to contains just 33 single-family, ranch homes designed ideally for today's active adult. Homebuyers are attracted to this intimate active adult community because of the low Union County property taxes, wonderful outdoor recreation opportunities nearby as well as its convenient location to major roadways for easy travel. The Courtyards at Weddington Road has a community gazebo that overlooks a scenic pond with a fountain feature. Active adult residents will especially enjoy The Courtyards at Weddington Road's close proximity to Colonel Francis J. Beatty Park, a 265-acre park with beautiful walking trails, picnic areas, tennis courts, and a stocked lake. Additionally, Siskey YMCA is located less than a mile away. In 2015, The Courtyards at Weddington Road was completed with 33 luxurious single-family homes built by Epcon. There are three floor plans offered on a resale basis that range from 1,519 to 2,800 square feet of living space. The Palazzo offers two bedrooms, two bathrooms, and an attached two-and-a-half car garage. The Portico and Promenade floor plans offer two bedrooms and a den, two bathrooms, and an attached two-and-a-half-car garage. These beautiful homes throughout The Courtyards at Weddington Road have been designed with ample space for entertainment and feature private courtyards, open kitchens with islands, and covered porches. True to Epcon's reputation, The Courtyards at Weddington Road features low-maintenance homes without having to give up space and luxury. 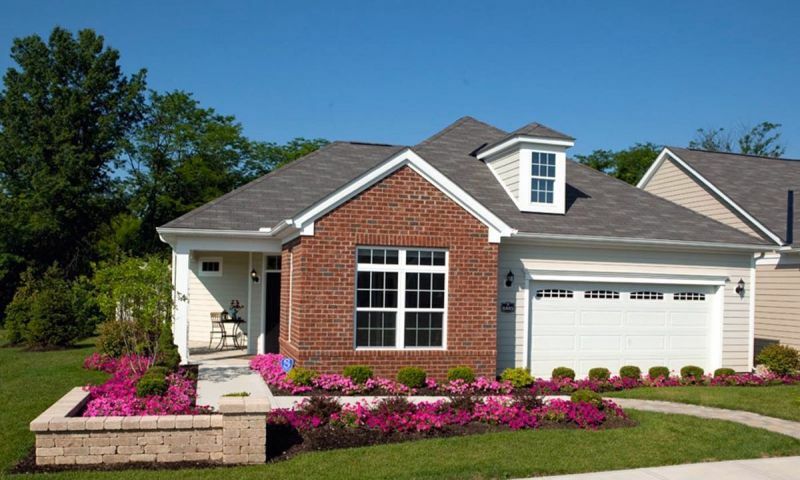 Active adults can also enjoy the comforts of single-story livingwith oversized garages for extra storage space. Since this wonderful community welcomes active adults aged 55 and better, residents will have a lot in common with their new neighbors and make fulfilling friendships. Homeowners can gather in their courtyards for barbeques with neighbors or stay fit by walking the scenic trails found at Colonel Francis J. Beatty Park. The Courtyards at Weddington Road is situated in Stallings, North Carolina. With a convenient location near Interstate 485, The Courtyards at Weddington Road is just minutes from downtown Matthews, which offers many shopping and dining opportunities. Just a stone's throw away, Weddington Road is home to numerous cafes and restaurants, Harris Teeter Supermarket, and many doctors' offices. The Courtyards at Weddington Road is also just 30 minutes southeast of Charlotte. Charlotte offers an ample amount of entertainment opportunities as well as access to easy travel from the Charlotte-Douglas International Airport. The Courtyards at Weddington Road is the perfect community for 55+ homebuyers looking for a close-knit community in Stalings, NC. Check back soon for more information on the lifestyle in The Courtyards at Weddington Road. The beautiful single-family homes by Epcon offer 1,519 to 2,800 square feet of living space. Each of the floor plans offer at least two bedrooms, two bathrooms, and an attached two-and-a-half-car garage. Some homes feature a den that can be used as an office or additional entertaining space. The second floor options are great for adding more living space and guest bedrooms. Lived here almost 2 years. Convenient to everything (i.e. Harris Teeter, CVS, County park, Novant and more. Friendly neighbors and all exterior maintenance is done by HOA. Yes....just saw this tonight! Have been looking for exactly this in this exact area for over a year!! Perfect community for the "lock and Go" lifestyle! I love the courtyard designs! I live in an Epcon community and am pleased with how everything turned out. Quality construction, open floorplans, no steps and best of all...no maintenance. This will be a great community! I am interested in living in a single level (no stairs) home in Stallings, Union County NC. Maintenance free living is for me. Maintenance-free ranches in Union County? Sign me up! 55places.com is not affiliated with the developer(s) or homeowners association of The Courtyards at Weddington Road. The information you submit is distributed to a 55places.com Partner Agent, who is a licensed real estate agent. The information regarding The Courtyards at Weddington Road has not been verified or approved by the developer or homeowners association. Please verify all information prior to purchasing. 55places.com is not responsible for any errors regarding the information displayed on this website.